1. 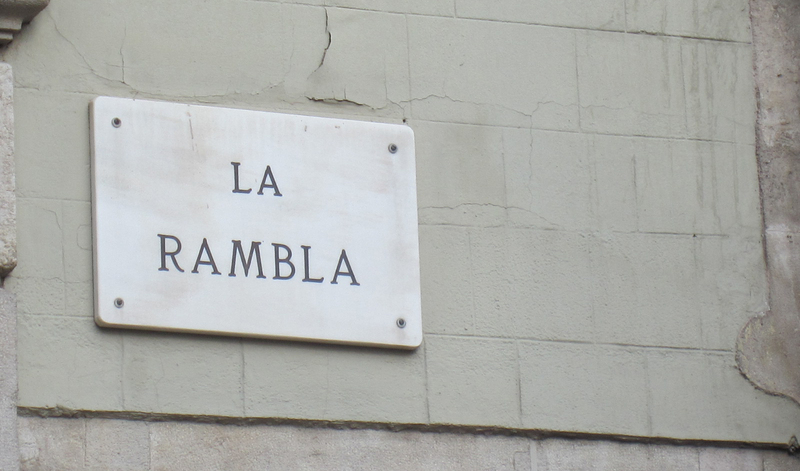 La Rambla is actually a collection of 5 streets. Rambla de Canaletes, Rambla dels Estudis, Rambla de Sant Josep (or de les Flors), Rambla dels Caputxins and Rambla de Santa Mònica each draw their name from nearby landmarks and collectively stretch 1.2 kilometers (about 3/4 of a mile). 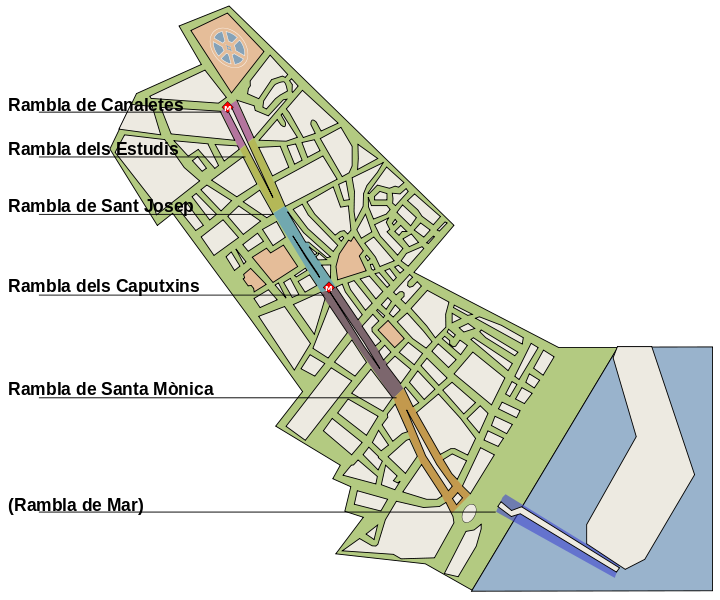 Two other sections – the fashionable Rambla de Catalunya (from Plaça Catalunya north towards Avinguda Diagonal) and Rambla de Mar on the water (from the Columbus Monument towards Port Vell) – are not technically part of La Rambla even though they share the same name and are a natural progression of the street. 2. The street was originally a sewage bed. In 1377 construction began to extend the city walls and in 1440 the stream was diverted to run outside of the new walls, eventually drying up. In fact, ‘Rambla’ comes from the Arabic word meaning ‘dry stream’, and its origins as a waterway are echoed in the rippling pavement design. 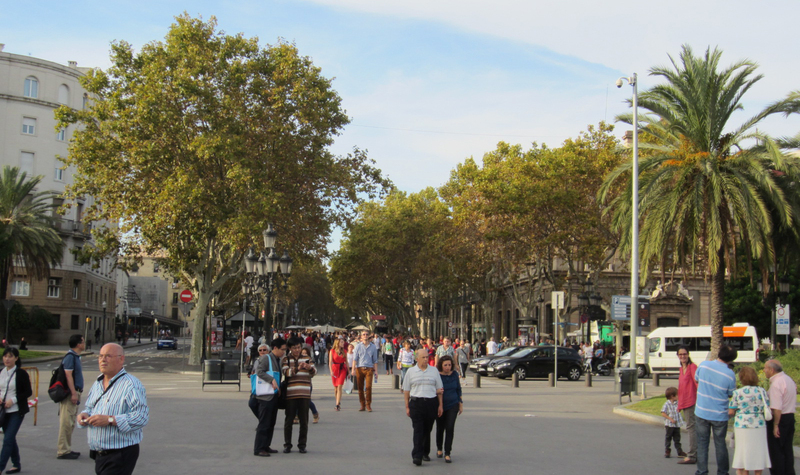 La Rambla as we know it today took its shape in the 18th century when the old city walls were torn down and trees were planted along the pedestrian boulevard. 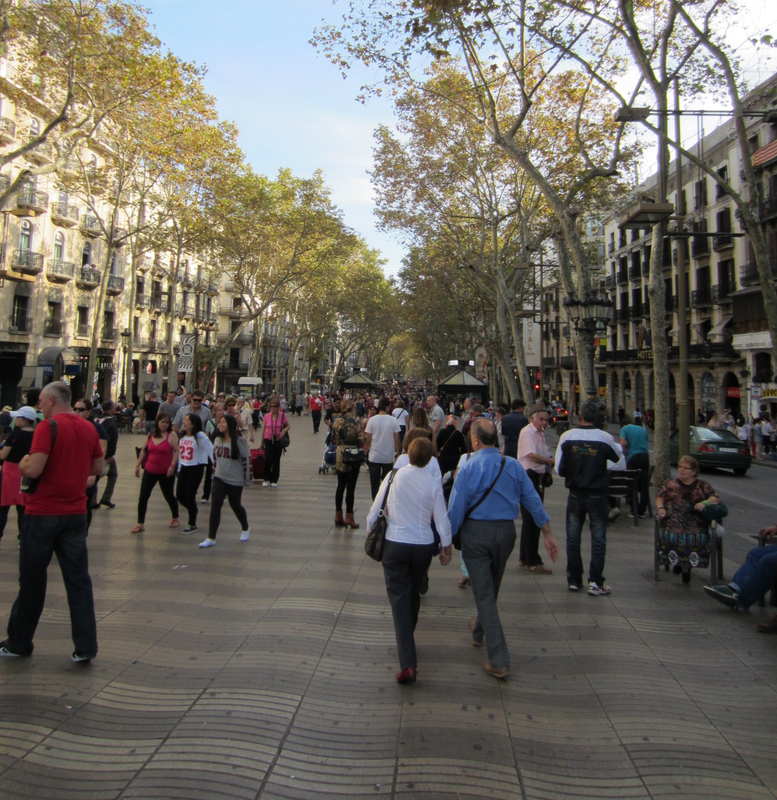 In contrast to the narrow, winding medieval streets of Barcelona, La Rambla was perfect for pedestrian strolling – straight, broad and centrally-located – naturally attracting different classes from around the city. 3. George Orwell wrote about the Spanish Civil War from a hotel on La Rambla. The English author joined the fight shortly after arriving in Barcelona in 1936, and chronicled his experiences on the warfront in the book Homage to Catalonia. During his time in the city, Orwell and his wife stayed at Hotel Continental located at La Rambla 138. The hotel is mentioned several times in the book, and has since paid homage to the author by naming a lounge after him. Hotel Rivoli is another Civil War-era haunt, having served as a headquarters for the Republicans that Orwell aligned with, and is located down the street from Hotel Continental at La Rambla 128. 4. 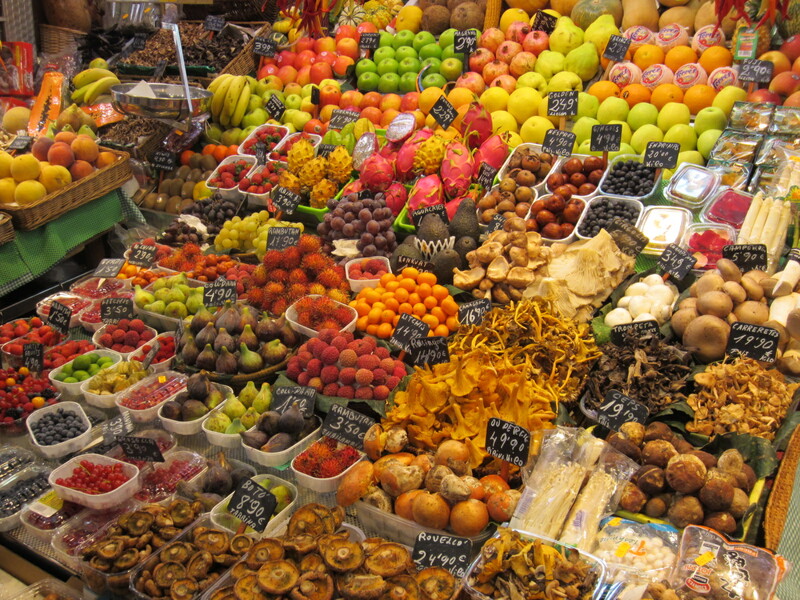 La Boqueria began as a meat market in medieval times. The earliest mention of the market dates back to 1217 when tables were installed for traveling peddlers to meat outside the old city gate. It later became an open air produce market for local farmers, and after the demolition of the city walls and the Sant Joseph convent, the newly created open space laid the groundwork for the present day market. Construction began on March 19, 1840 – St. Joseph’s Day, hence its official name Mercat de Sant Josep de la Boqueria – and the new market was officially inaugurated in 1853. Over the years, La Boqueria continued to evolve with the installation of gas lamps in 1871, a fish market in 1911 and the metal roof in 1914. Today La Boqueria boasts more than 250 stalls filled with fresh produce, fish, meat, cheese, spices and other specialty foods as well as small eateries for a light meal or snack. 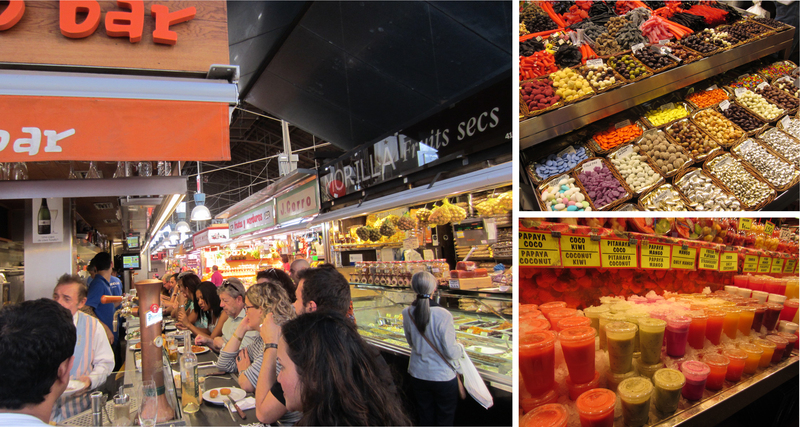 It’s the perfect place to shop, eat and people-watch for a snapshot into Spanish life. 5. You can see Joan Miró’s work up close and personal on La Rambla. The abstract artist’s work can be found throughout Barcelona, but thousands of people walk over this colorful mosaic everyday without even knowing it. Miró designed the circular mosaic near Gran Teatre del Liceu in 1976 when he was 83 years old. It’s location on the middle of La Rambla is near the Barri Gotic neighborhood where he grew up, and its simplistic design and use of bright primary colors are almost childlike in nature. Due to all of the heavy foot traffic, the mosaic was recently restored in 2006 just in time for its 30th anniversary. 6. Flower stalls and an open air market for birds and small pets once lined the street. While remnants of these shops still exist, over the years they have been replaced by more and more newsstands, souvenir kiosks and gelato vendors. You’ll also find many colorful street performers, artists and pickpockets (so watch your stuff!) all trying to capitalize on the busy, tourist-filled street. 7. The 2 metro stops along La Rambla are part of the oldest line in the network. The Gran Metro de Barcelona first opened in 1924 (leading up to the 1927 World’s Fair) and the Liceu metro stop opened the following year in 1925. It draws its name from the nearby Teatre del Liceu and was the first station in the metro network to have a themed decoration, featuring pictures of illuminated leaves from trees planted along La Rambla. The second metro stop on La Rambla is Drassanes, which is named after the nearby shipyards yards, and was opened decades later in 1968. Due to its proximity to the water, the metro stop has suffered flooding over the years and was recently rebuilt in 2007. Today both metro stops are part of the green L3 line, which wraps around the city from Zona Universitària to Trinitat Nova. 8. A 24-foot statue of Christopher Columbus marks the end of La Rambla. The Columbus Monument, or Mirador de Colom, is 200 feet tall in total and was built for the 1888 World’s Fair. The bronze statue of Columbus sits atop an ornate Corinthian column heavily decorated with symbolism, notable figures and scenes from his first voyage to America. 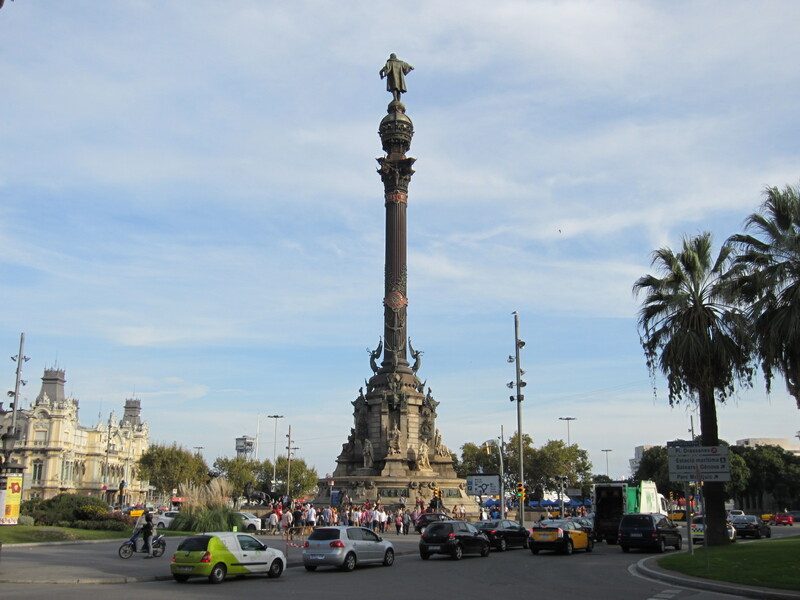 The monument commemorates Columbus’ stop in Barcelona after returning from his trip, and is a reminder that the Italian explorer reported to King Ferdinand and Queen Isabella of Spain. Today visitors can take the tiny elevator to the top for great views of Barcelona.